We spend the entire first year of our baby’s life doing what we think is best for them nutritionally. Their health is important. We make sure they take vitamin supplements if they need them. Maybe we choose to breastfeed or we provide formula for nourishment. When the time comes we make organic baby food so that they have clean food in their bodies. Then their first birthday starts rolling around. We start thinking about which recipe is the best baby’s first organic birthday cake recipe. Do we go natural or not? Whatever options you choose, there are plenty, you can be sure you always have their best interests at heart. Why should baby’s first taste of cake be any different? The whole “organic” and “natural” thing may be a bunch of mumbo jumbo to most people. Regardless, if we live life with the motto of 80/20, we are already doing good. 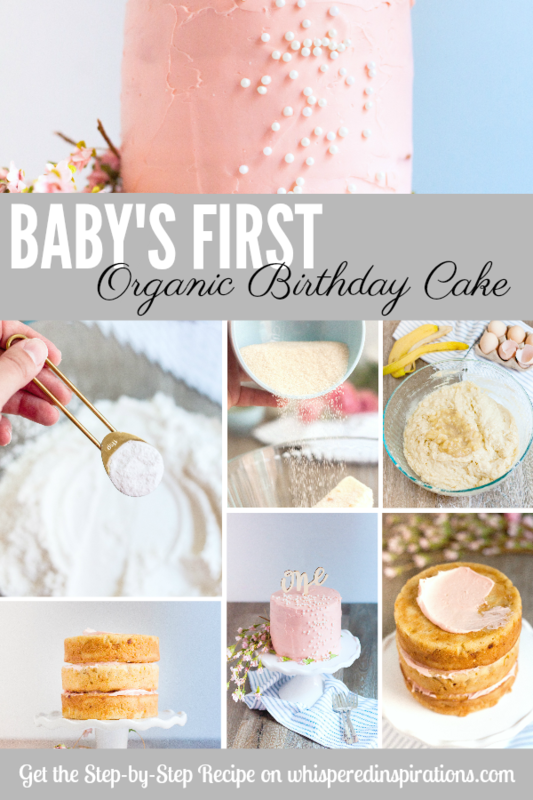 Odds are that if you are here, you’re looking for an authentic baby’s first organic birthday cake recipe for your little one. Here a few more natural recipes. Like strawberry and blueberry jam, the best blueberry pie, and organic chocolate cupcakes with a secret ingredient to name a few. Well, in March of 2011, Mimi turned 1 years-old! Feeling inspired to give her only the best, I made her an organic yellow banana cake. Since I think it’s the best organic birthday cake, I thought I’d share it with you all. Some of you have asked for it and some of you lovely folks may have found this through good ole Google. Can you believe that Mimi is now 8 years old and she still asks for this cake? 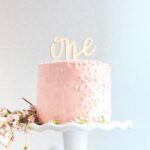 I decided to recreate it in 2018, so if you’re looking for Baby’s First Organic Birthday Cake recipe–here it is! After you’ve pre-heated the oven to 350 and greased your pans, you should start prepping your wet mixture. Soften the butter then mix the butter, vanilla, and sugar until creamy. Add eggs whites to the butter, olive oil, vanilla and sugar mixture. Add milk next! The next step is easy peasy. Combine the 3 cups of flour and baking powder. It’s pretty simple enough! Mix and combine well. 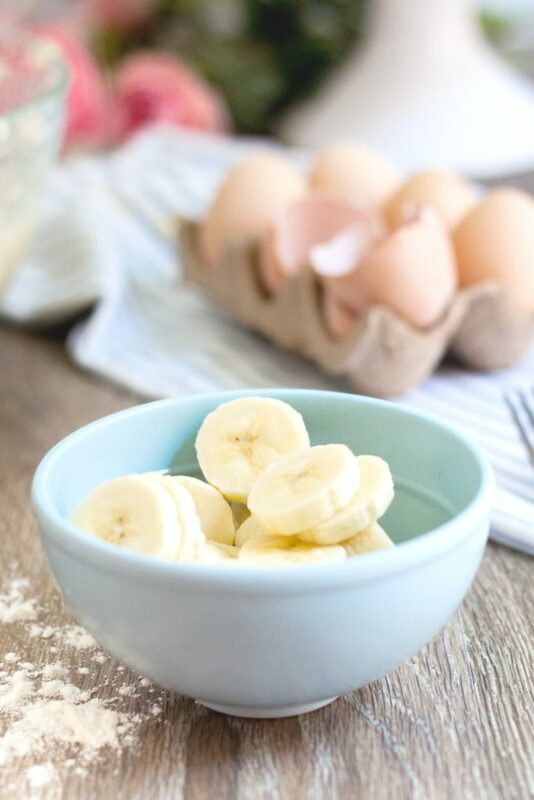 Grab those bananas and in a separate bowl or plate, use a fork to mash up the bananas. I like making the mixture really thin so that it mixes into the batter well. You can make it as chunky as you want! Then in a separate bowl, prepare the dry mixture. Grab that dry mixture and start to add the wet mixture in. Alternate folding the dry mixture as you add the wet ingredients. 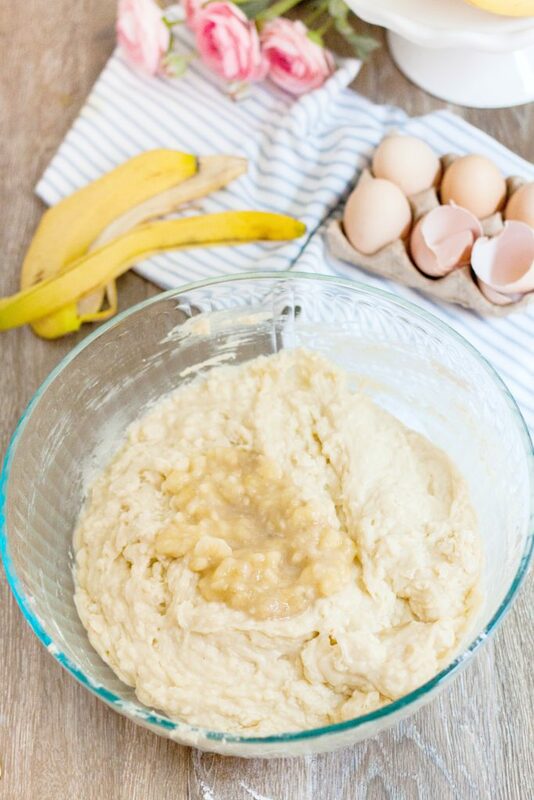 Once completely combined, add the banana mixture and mix in an organic vanilla pudding or organic banana pudding. This is optional, of course, but, I think it makes the cake moister. Pour mixture into three 8-inch pans and cook between 30-45 minutes. 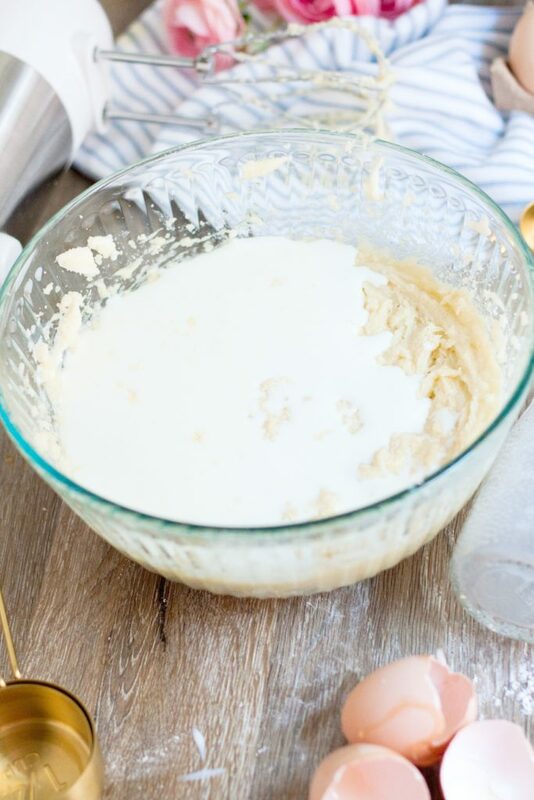 Take butter, organic sugar, cream cheese, vanilla extract and add to a bowl. Use strawberries, blueberries or beets for a natural colouring. You can also opt for a natural food colouring. 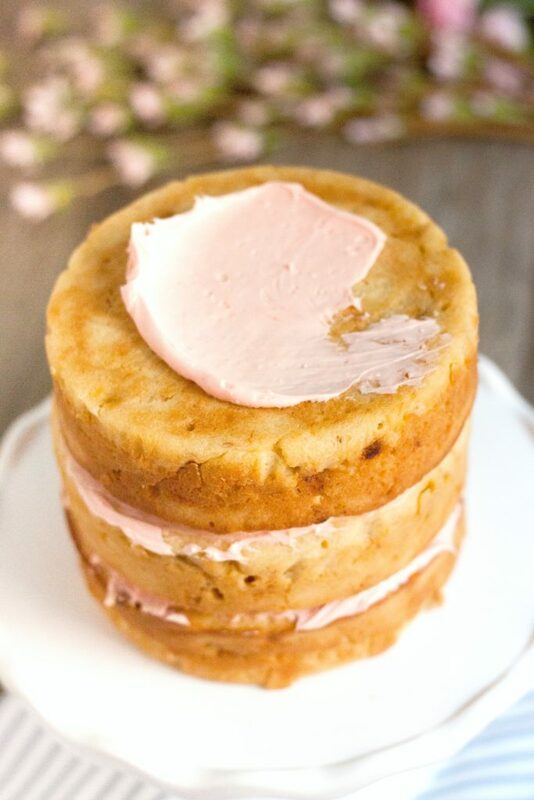 Stack your cakes and add frosting to each layer. Ice your cake and cover completely. You can add faux flowers for a whimsical look. 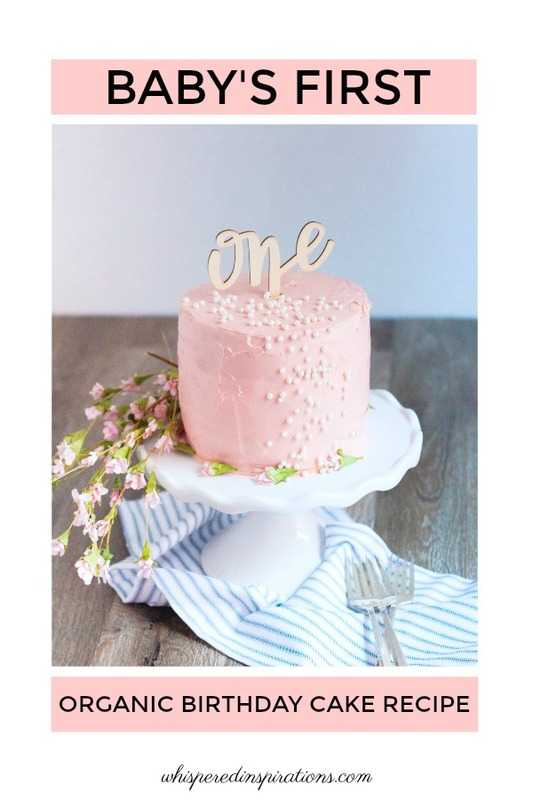 You can opt to use natural pearl sprinkles as I did, and add a wooden or metal “one” cake topper for aesthetic. The previous cake that I made, I used fondant to mold the number 1 but, did not eat it. If you prefer a chocolate cake just add 2 1/2 tablespoons unsweetened cocoa powder, skip the banana and substitute an organic chocolate pudding cup instead of vanilla. Looking for your baby's first taste of cake? 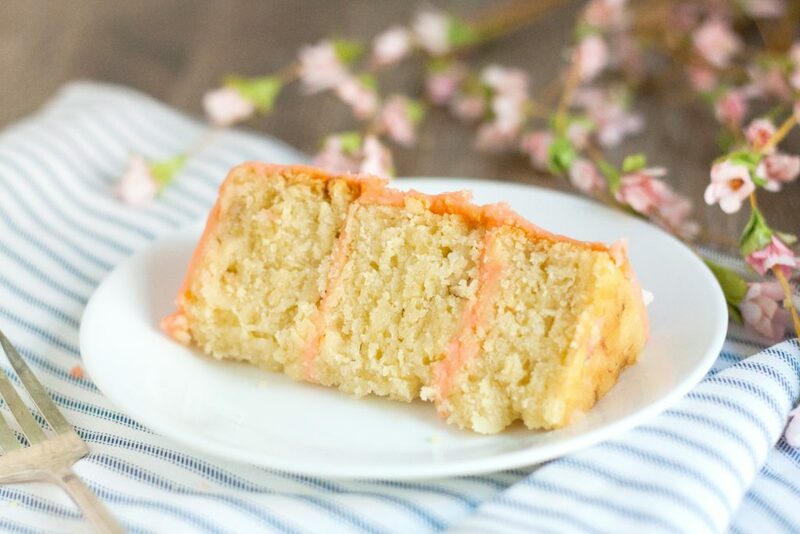 Here's an organic cake recipe for you! Preheat oven at least for a half hour on 350. Use organic butter or spray to line your pan. Soften the butter then mix the butter, vanilla and sugar until creamy. Add eggs whites to the butter, olive oil, vanilla and sugar mixture. Add milk to wet mixture, mix well. On a separate plate, mash banana with fork until desired chunkiness. I prefer it really thin so I mash it until there are no lumps. 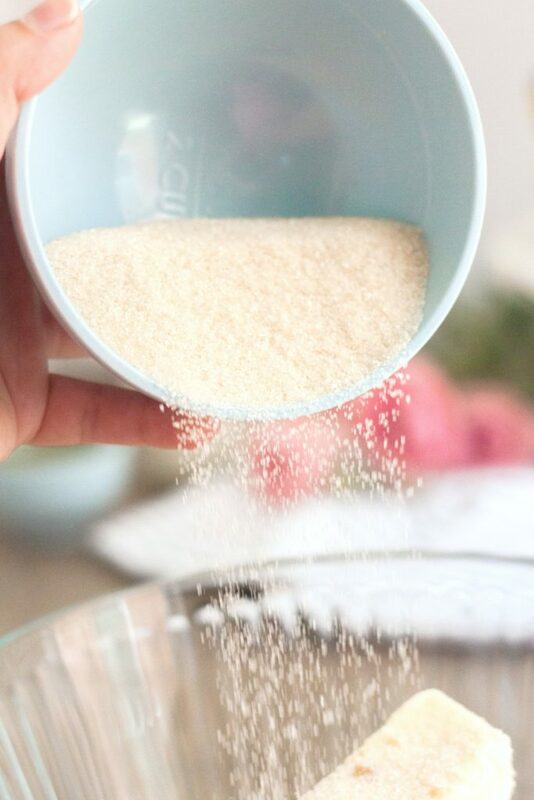 In a separate mixing bowl, combine the dry ingredients in a separate bowl. Which is the flour and baking powder. Alternate folding in the dry mixture into butter/sugar mixture until it is completely mixed into a whole batter. 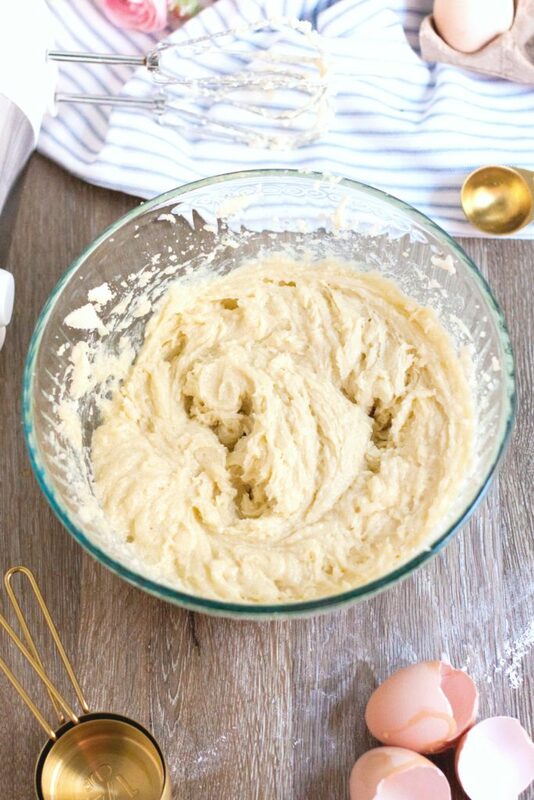 Add mashed banana to the batter. Pour batter in desired into 8-inch pans (3) and bake for 30-45 mins or until golden. 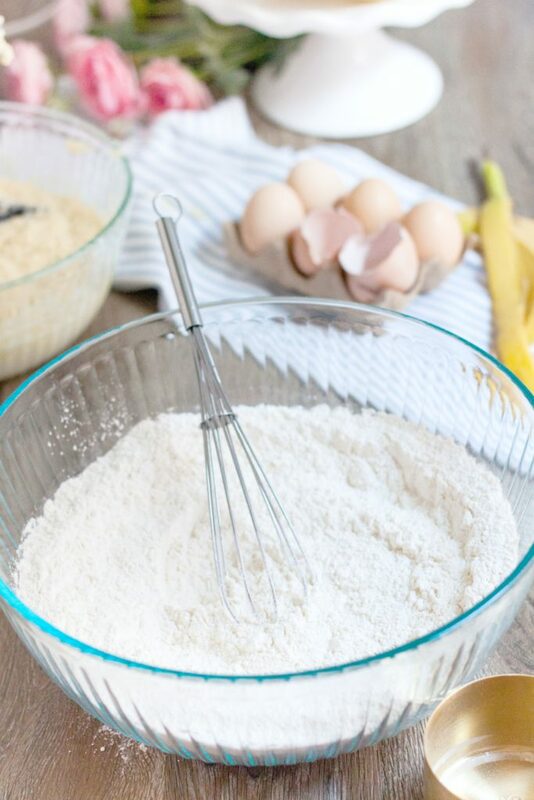 Combine all the ingredients and mix well until fluffy with an electric mixer. Once it is prepped, you are ready to enjoy your cake with your little bundle of joy. Let them get in there, after all, it’s their first taste of cake. How exciting is that? For this cake, I kept the icing on the lighter side. No complaints yet! So there it is, I hope your little one enjoys it as much as Mimi enjoyed her first birthday! I also hope that you’ve enjoyed this Baby’s First Organic Birthday Cake recipe. It’s delicious, simple and as natural as you want it to be. Happy FIRST Birthday to your little one! 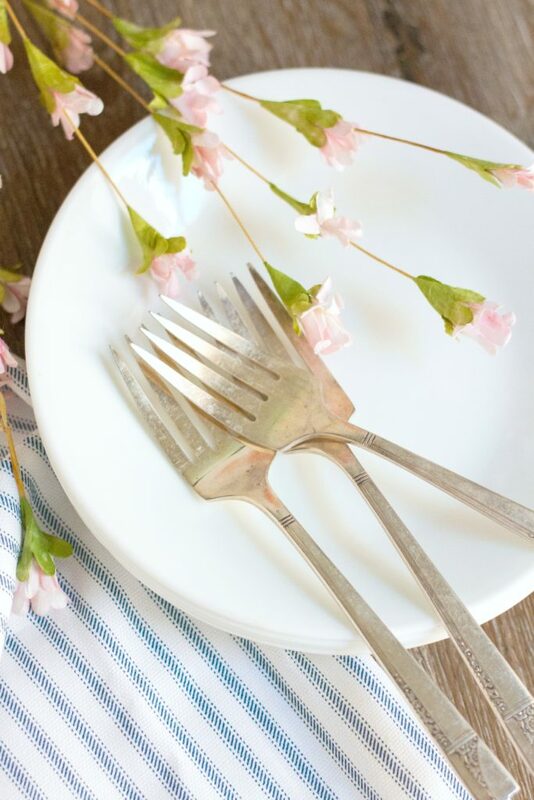 Take a look around and check out these organic recipes, you may just want to give them a try! Will you make this in chocolate or vanilla? TOO cute! I love it! Good and pretty good for her, eh?! 🙂 Good job mom! Thanks so much!! My daughter just asked me to make my grandson’s first bday organic cake. we’ve been doing baby food but had no idea where to start on cake. Sweet, hope you love it! This cake looks so yummy! Happy belated 1st birthday to your little one! Thank-you very much! She sure did enjoy it! I am visiting from the Alexa blog hop. I hope that you have a nice week! Hi there, thanks for stopping by LaVonne! Yes, getting it from an organic mix is good too! Though, for baby's first I wanted to make it myself. I've only used the boxed once! You have a great week too and I'm OMW to visit you too! Hi Alysia, I do too and it does become very costly. I do buy local for fruits and veggies so that offsets the cost a bit. But, no problem! Thanks for stopping by! 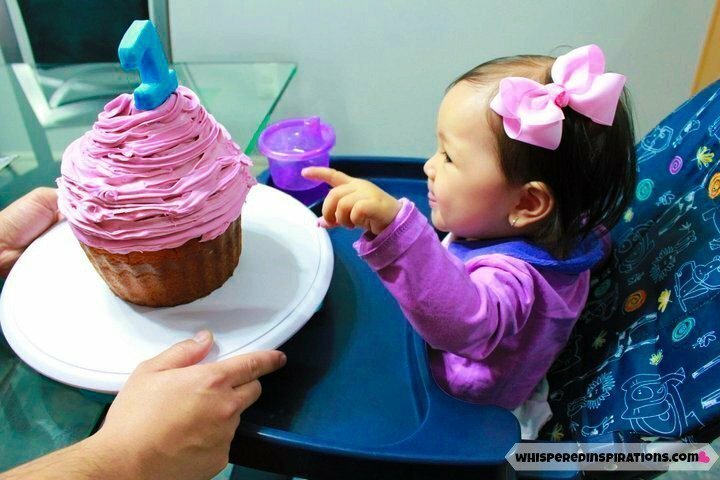 I love the giant cupcake look! That looks simple and like something I could actually pull-off, and SO darn cute! Love the cake. It looks so yummy! Happy Birthday to your little one. Wow Nancy! I absolutely love the look of this cake! I'm trying out this recipe next time I make a cake! Thanks! It was very simple, I do love making cakes… fondant and piping and such! FUN! I am trying to make this cake right now but I don't see in the instructions what to do with the olive oil, milk or pudding. If you get this, please respond today b/c I am literally making the cake right now. Also, the frosting tastes like straight cream cheese, not sure if that is how it is supposed to be, but just wanted to let other readers know. Hello there, I am sorry that this did not turn out for you. The milk should be added to the wet mixture, I had changed it when a reader pointed it out to me. Adding all the wet ingredients and then folding the dry ingredients in should work and incorporate. My suggestion would be to use a hand mixer next time. The cream cheese is predominantly cream cheese, so yes, it should taste sweet but, like cream cheese. I have changed the name of the frosting so people know what to expect. Thanks! whoops! I thought the pudding was the filler in the middle of the two layers of cake. oh well. It still tastes delicious. I bet the pudding would make it a little lighter – the cake is a little dense the way I made it. I am making 4 layer little modern squares. I have twin boys turning one next week. Thanks so much for getting back to me! Do I need to make any adjustments to this if I plan to make cupcakes instead of a cake? The batter doesn't need to be adjusted, depending on the size of cupcake you choose, you may end up with a little more than a dozen. Good luck! So glad I found this! My little girls 1st Bday is this sat and I'm a horrible baker! But I'm going to give it a try! I'm glad you did too! If you need any help, just give me a shout! Hi a friend suggested that I check out your site. 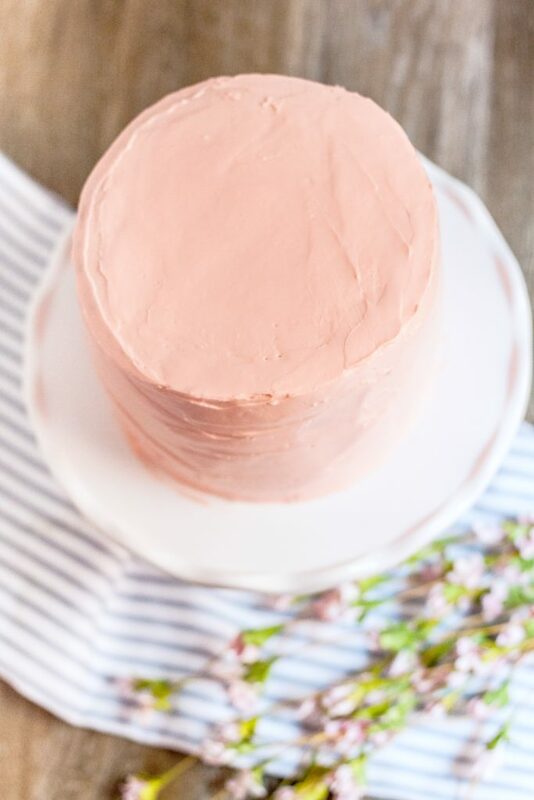 How would you suggest doing a white cake all organic? I have a customer that is requesting an all organic white cake. Thanks! Hi, what is the filling you used? Could you share the recipe, please? Thanks!! Hi there Shelley, total mommy brain when I wrote this. I've added more details. 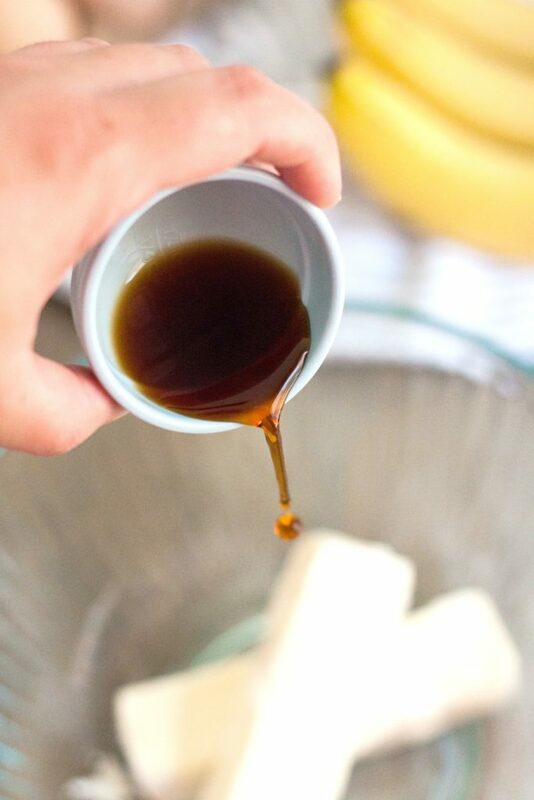 You mix the softened butter, sugar and vanilla in a bowl. 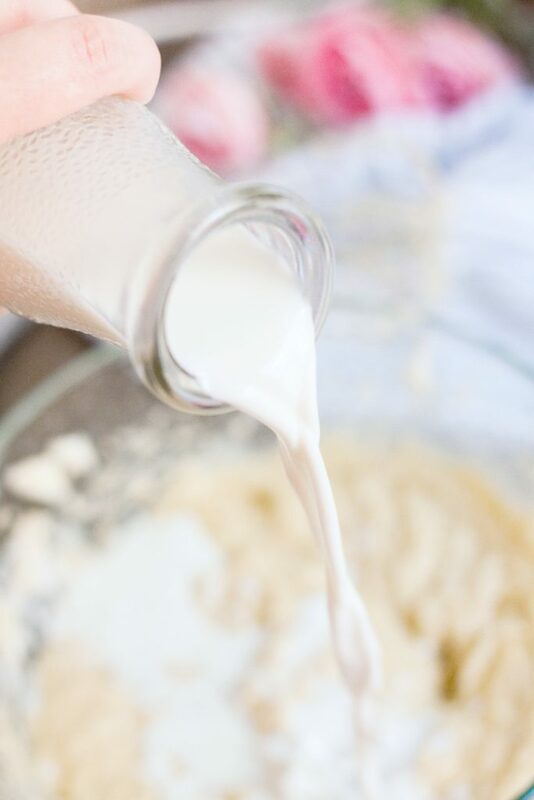 Once that is soft and creamy, add the egg whites into this wet mixture. 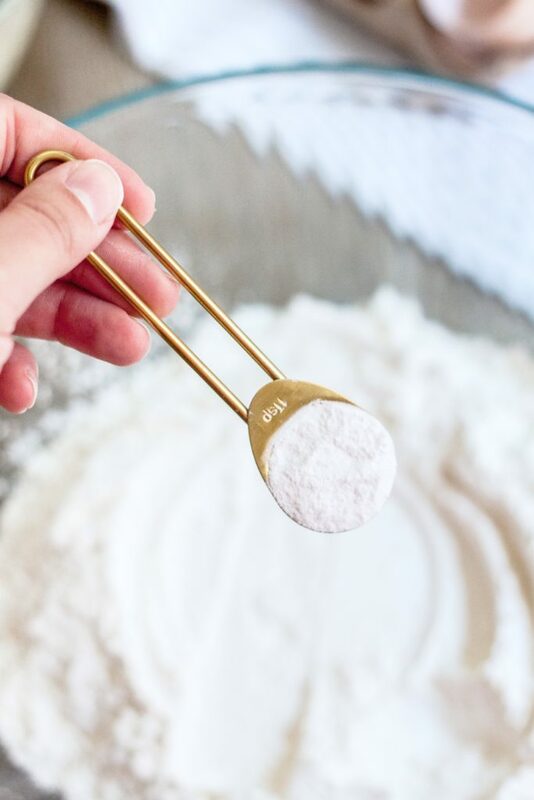 You should have your flour and baking powder in a small bowl. 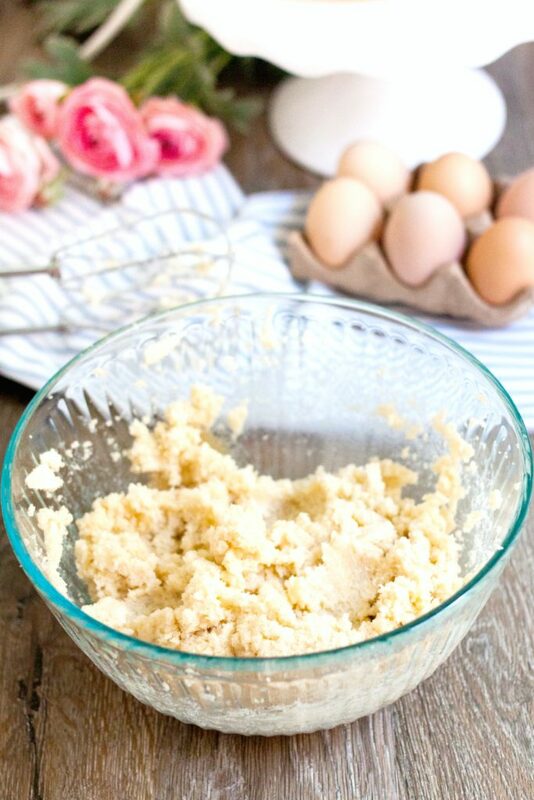 Fold the dry mixture into the butter, sugar, egg and vanilla mixture–until it becomes your final batter. If you dump the entire dry mixture in, there will be too many lumps. I find it comes out smoother when you fold it in. Once you have your FINAL batter, this is where you add the vanilla or banana organic pudding. Mix til smooth. Once you have that, you are ready to pour! 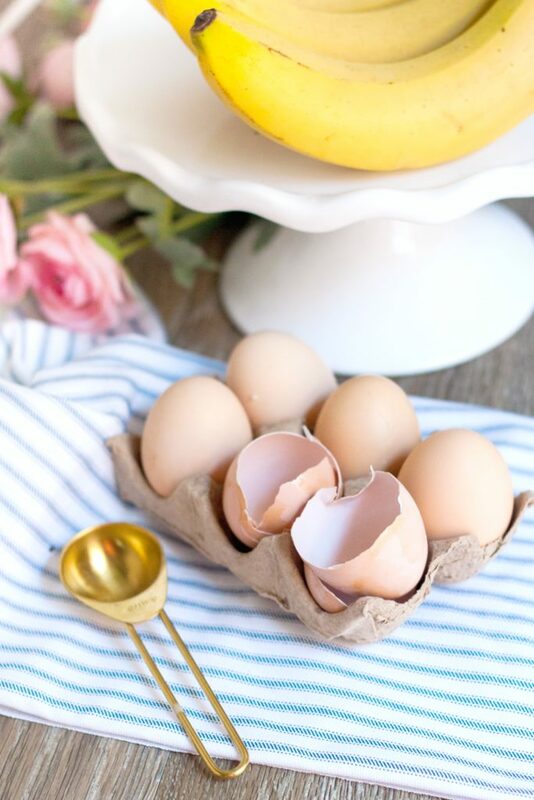 For egg sensitivity, what do you do? Leave out eggs completely or only egg whites? Can we skip banana pudding? Yes you can, I add it so that it makes the sponge more moist. 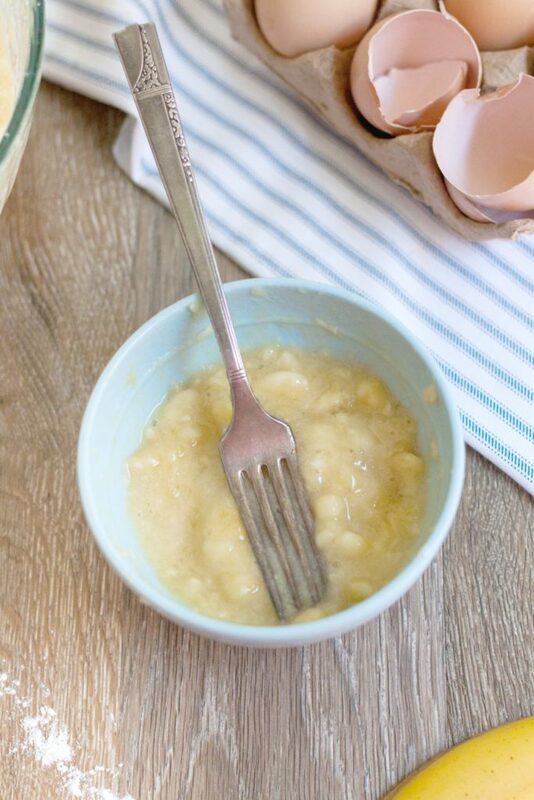 You can substitute apple sauce or skip altogether. I'm going to try making this tonight, and I have a question that I'm unclear about. When you say "pudding" are you just adding the dry pudding mix or are you actually adding a cup of the pudding made up? I add a cup of prepared pudding. Either banana or vanilla! How large of a cake does this make? Also if I wanted to make it into cupcakes do you know if I’d need to make any changes? Just gave the cake a whirl. Soooo yummy but pretty cooked on the outside and didn't cook on the inside. Any suggestions??? how cute and the cake looks delicious, and so healthy. This would be a fun recipe to try! Now that baby is thrilled with her cake! The recipe sounds fantastic! Thanks! That is really a cute cake and I will remember. What a cutie – and the cupcake is special, too. I like shopping at Whole Foods for organic foods, it makes it so easy. I've learned quite a bit over time, too, about quality choices. I try to go by what is on sale and use coupons, etc. as I can't really afford much, but there are items such as flours, grains, eggs, etc. that are more affordable. I keep going back and fourth searching for where to add the milk at, you never say to add it, so was it a mistake adding it to the list or a mistake not putting it into the instructions? I am trying to make it for my daughters 1st birthday as well. I am so sorry, yes, you need to add the milk into the wet mixture with eggs, oil, etc. I\’ll fix it, thanks! Thanks for sharing!! That cake looks fantastic! I agree that we need to rework our conceptions around what it means to be "deprived". I'm going to make the cake in this cupcake bakeware too. Do I need to double recipe??? I tried this recipe, making cupcakes for my son's first birthday. I halved the recipe and it made 14 cupcakes. I frosted them with organic whipped creamed flavored/colored with pureed organic blueberries. They turned out good, but quite sweet for my taste. If I make them again, I'd definitely reduce the amount of sugar. Overall though, I really liked this healthier option for his first birthday and he seemed to love it too! Thanks. I too will be using the XL cupcake pan so I just wanted to make sure if I was to double the recipe then? I can't wait to try it! My LO's birthday is Friday but we're doing his 1st birthday photoshoot tomorrow, thanks! Yes, I have! I hope it turns out for you. 🙂 Happy Birthday little one! My icing isn't turning out like yours 🙁 plus, I'm trying to add in natural food coloring from boiled red cabbage. Will it make it too watery? What would you suggest? Hello Candi, I would suggest adding more sugar or stevia to make it thicker. I'll bet she devoured this in seconds didn't she? May I ask which giant cupcake pan you used and we’re these amounts enough to fill it? May I ask which pan you used and this amount was enough? Thank you. What a pretty cake and nice ingredients included, too. Have you tried replacing the oil with applesauce? I have never tried it but, I am sure you could! Is the pudding just a dry box mix or do I need to cook the pudding and add it in? Also does the pudding need to be cold if I cook it or can I just put it straight in the batter after I’m done cooking it? I’m making this today. Practicing for my son’s wedding cake his fiancé asked me to make. They’re wedding is in September 2016 so I’m testing cake recipes. I’m leaving out the banana. I’ll let you know how it turns out. Thanks for posting! Look forward to hearing how it turns it out! 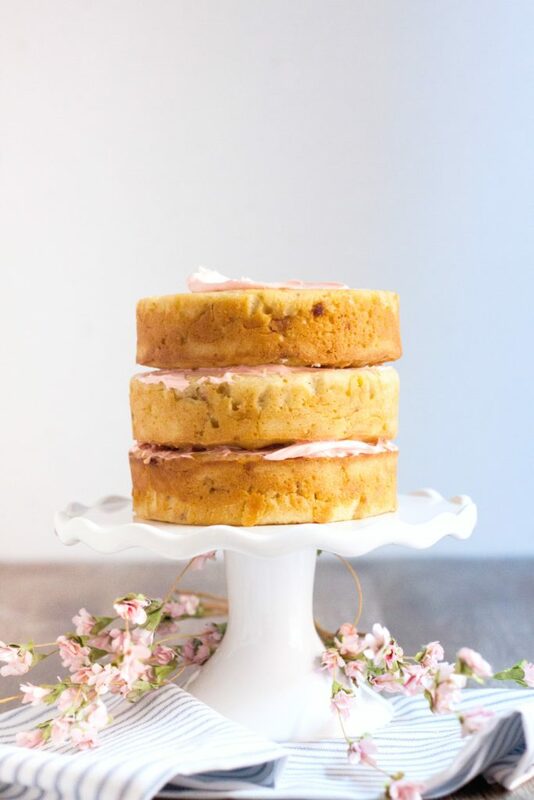 Fantastic cake recipe…..I'll have to bookmark it for upcoming birthday! I made this tonight and it turned out really good. The only thing I’d change is leaving out the olive oil. I also made a peanut butter frosting instead. The cake is super moist and I can imagine it’s easy for a baby to eat too. I read through the comments and am still unsure if this recipe makes a double layer cake or do I need to double the recipe? Thanks! Yes, it should make a double layer! 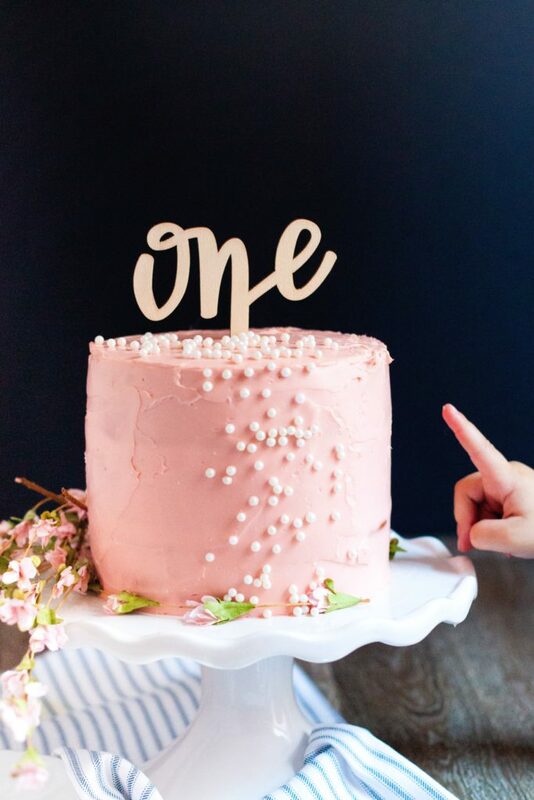 That is a cute first birthday cake! I love that's it's organic! Thanks, it makes a difference! I love this giant Cupcake for any occasion !! Love this idea and it’s beautiful. I saw a few unanswered questions about what kind of pan this is and I also want to know. Is it a large cupcake pan? If so, what size? I want to make it this week. Thanks! Yes, it is a mold. Hi! I’m trying to make my daughter’s 1 st smash cake and was wondering how long the frosting last? 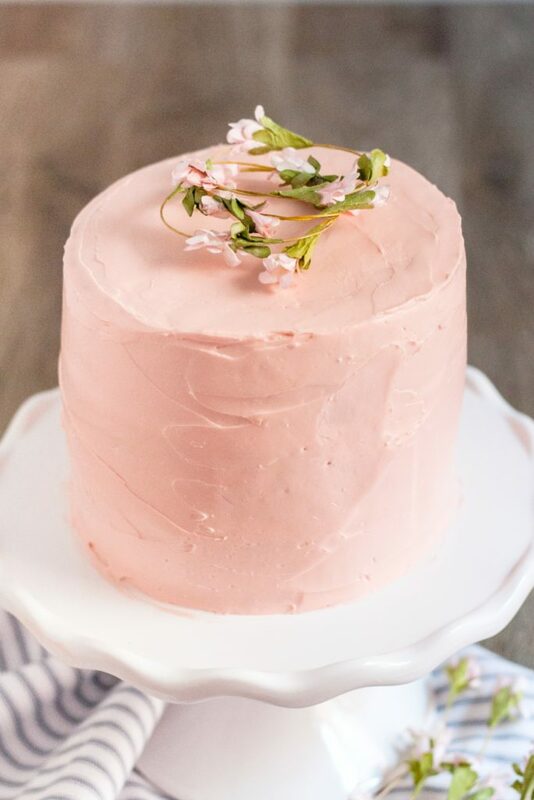 If I frost night before and refrigerated till next morning and put it out for display in a ac room, the frosting will keep the shape is the piping decoration? LOVE!!! The cake is absolutely beautiful, Nancy!!! I love that it is organic and that you used free-range eggs. A family friend has a farm and we enjoy the free-range eggs. You can really taste the difference. Awww, thank you so much! And yes, you really can taste the difference. I LOVE that you made your daughter’s first birthday cake organic. But what I love even more is that she still asks for it! That is a winner right there. This sounds like a pretty delicious recipe!! I may need to try this for myself…LOL!! That cake turned out great. That’s great that it’s organic. I think it’s the perfect kind of cake for a baby. Yes, it is perfect for little ones. 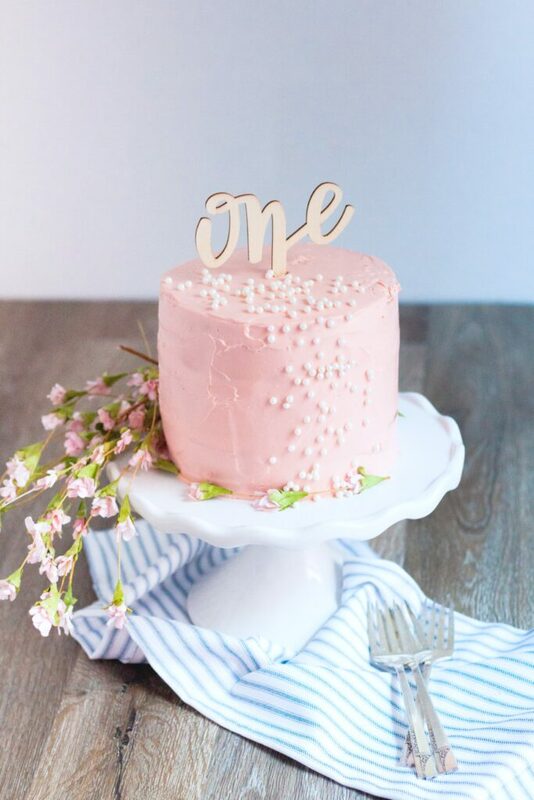 What a pretty, delicate baby cake! Banana cake sounds delicious. I haven’t made it or ate it before, and I bet it smells amazing when it’s baking. I love the different layers of your cake. Yes, it is so subtle and tasty! 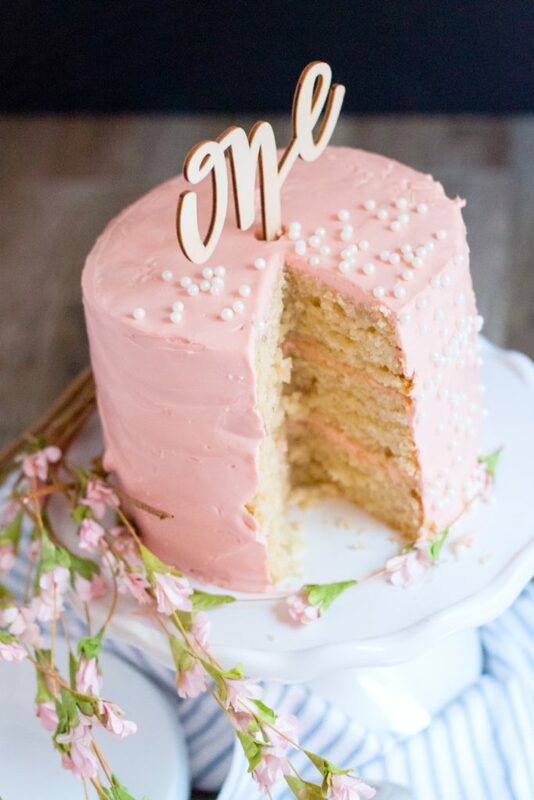 Aww, what a pretty little cake! Banana cake sounds yummy to me. I know I like banana bread, so why not banana cake? It is such a subtle taste, perfect for babies! First off I want to say how cute this cake looks but it’s a shame that it’s so expensive and hard to find organic foods today. Thank you, you can get most things at decent prices. You have to hunt! I would like to make this lovely cake for my granddaughter’s 1st Birthday. I have read most of the comments and I’m curious if the recipe has been adjusted to reflect all of changes. Also, do you have a suggestion of how to substitute the sugar in the cake and the icing with fruit juice or puréed fresh fruit. Thank you. Hi there! Yes, it has all been adjusted and changed from feedback. To substitute, it would depend on the juice (apple, grape, and orange are sweetest) but, for every cup of white sugar in the recipe, sub 3/4 cup of the juice. Good luck! Nancy, bravo! What a great idea! Love this. I’m sure this is incredibly delicious! Nancy, it looks so yummy! I love the step-by-step instructions, making it an easy recipe to follow! Nancy, it’s amazing! I just randomly found your blog looking for this recipe. Awesome! Good for you! Awesome, so happy you found us! Enjoy! Nancy, what a gorgeous cake! Your directions make this seem like such an easy approach, too. I would love to make this soon!